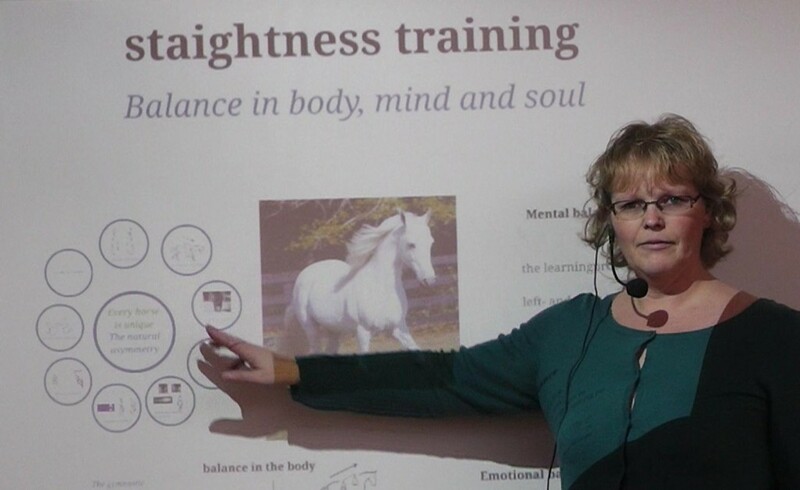 The clinics combine the theory and practice of Straighness Training. I organize two, three or four day events. In a clinic I teach 6-8 participants in individual lessons. It is also possible to join as an observer/theory participant. You can observe the lessons and join the (interactive) theory blocks. Some examples of topics are: natural asymmetry; Straightness Training theory; biomechanics; the seat; rider fitness, body awareness, how rider and horse learn; how to deal with fears of rider and horse: how to develop feelings of self-confidence, pride, etc in humans and horses. Besides lessons in Straightness Training it is also possible to practice horse trailer loading. In total, all participants receive and hour and a half practical tuition. On the fist day for one of hour, on the second day for half an hour or vice versa. In total, all participants will practice during 2.25 hours. On the fist day for one of hour, on the second day for half an hour or vice versa. On the 3rd day for 45 minutes. Are you interested in organizing a clinic and/or participating in one? Please contact me about the possibilities.